The Concentrated Garden Fruits is a soft Fruits of the Garden Cocktail with dominant Raspberry lightly sugared and Soft Strawberry. 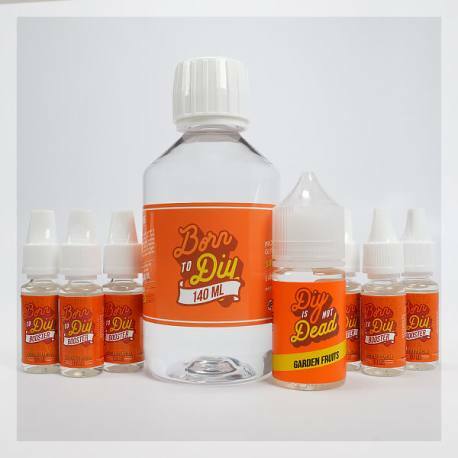 The Born To DIY can be mixed with nicotine in 3 mg, 6 mg, 9mg and 12 mg/ml, of choice. The number of Nicotine Boosters depend on the desired rate of nicotine. 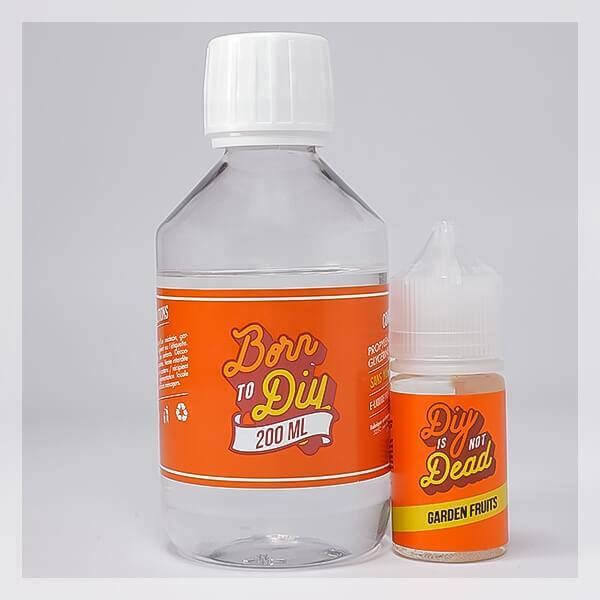 The dosage obtained with 1 x 30ml vial of Garden Fruitsis at 15%. 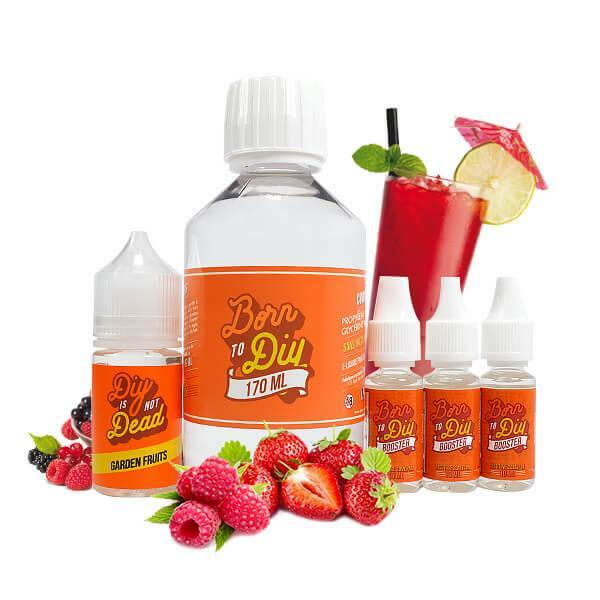 Note: This recipe is proposed by Le Petit Vapoteur. If you wish for a superior dosage, find our Garden Fruits on this page. Mix the Nicotine Booster contents in the Born To DIY base. To follow, pour in the Garden FruitsConcentrate. Mix vigorously the Vial. Minimum Steeping Time: 3 to 5 Days.